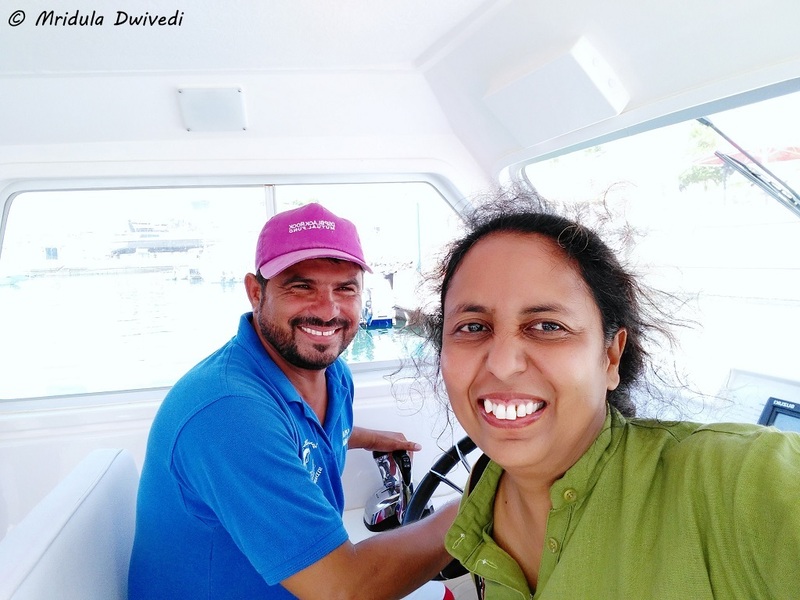 Dolphin Watching in Muscat, Oman- When Magic Happened! I have done dolphin watching before, the kind where you see two dolphins in a blink it and you miss it kind of experience! 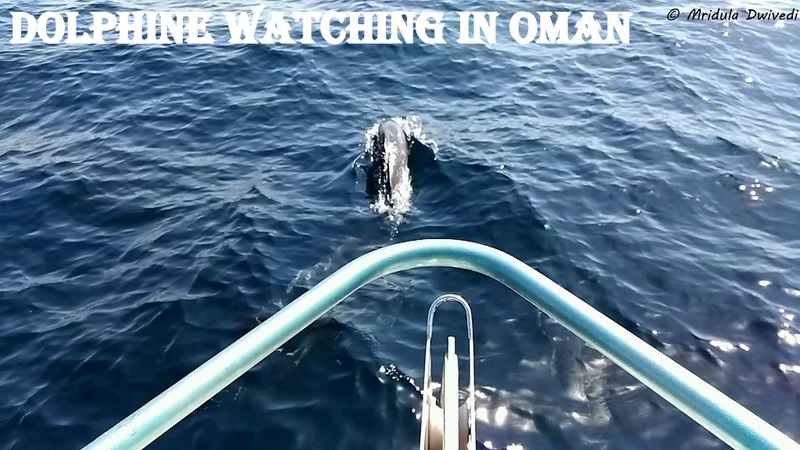 Dolphin Watching In Muscat was on my itinerary in Oman too. It was a 8-9 am slot and I was wondering if it was too late in the day? I was invited to Oman by the Ministry of Tourism and the ground arrangements were made by Afaq Tours. Captain Ibrahim has 22 years of Experience at the Sea! The captain of the boat was Mr. Ibrahim, he was quiet but navigated at a great speed. 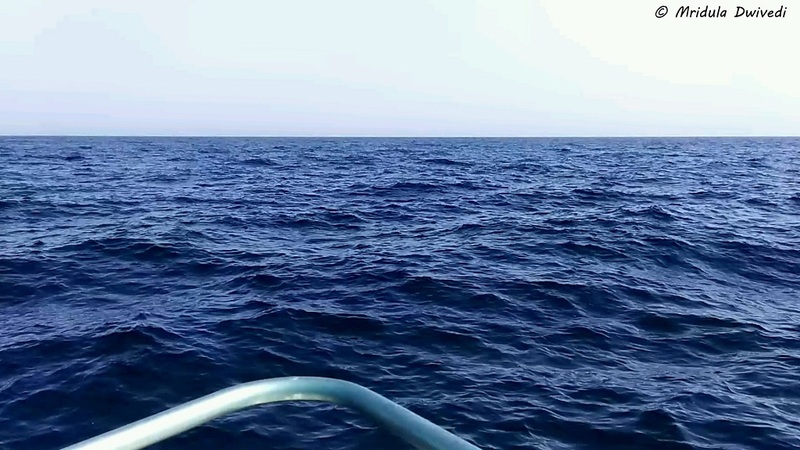 We went off to the open sea and kept going for good 30-40 minutes. I spotted a few birds far away from the shore. I wonder why they fly in so deep and how do they go back! I clicked this photo at the end of the trip, when I went to thank him. Our smiles are am indication of the kind of trip it was! But going back to the experience, the captain reduced speed after what felt liked ages and invited us to the deck! And suddenly there were dolphins, jumping in the water all around us. Five boats were there to witness the spectacle at the deep sea! For me photographing the moment is equally important as watching it. I didn’t know what to do, use my DSLR, use cell phone or make videos with the cell phone? In the end I made videos and grabbed still shots from it. I have a new phone too, Cool1 from Coolpad. Wichever way you would turn there would be a dolphin jumping out of the water! There were boats being lead by the dolphins, they would literally keep jumping in front of it!But it didn’t happen in front of my boat. So Many Dolphins Below the Sea! As I said I have watched dolphins in Trincomalee Sri Lanka and Goa, India before. But I have never been to one of the captive dolphin shows in my life and I intend to keep it that way. I firmly believe that these gentle creatures are born to be free. It is a privilege to watch them in their natural habitat! After a while the captain asked us to move back to our seats and increased the speed of the boat! We were headed back to the shore or so I thought. Quite close to the shore the captain reduced the speed and invited us to the deck again! And this time the dolphins were all around my boat, jumping at random. 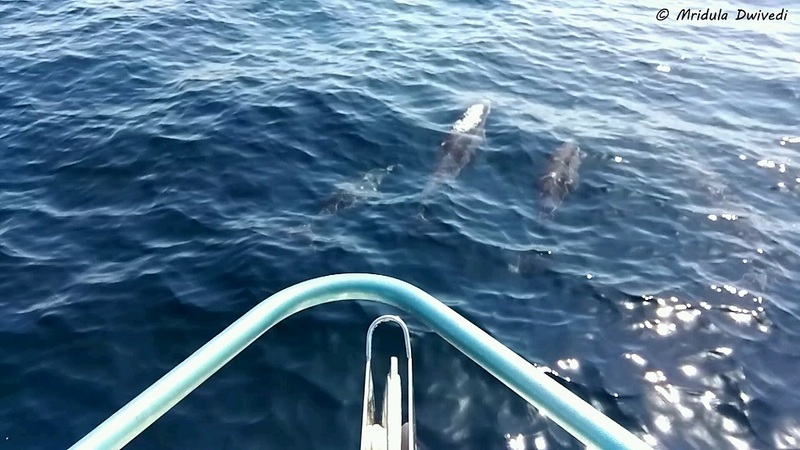 I rarely ever post two minute video clips but this one is full of dolphins, this time leading our boat! The water was so clear that I could see them before they surfaced! 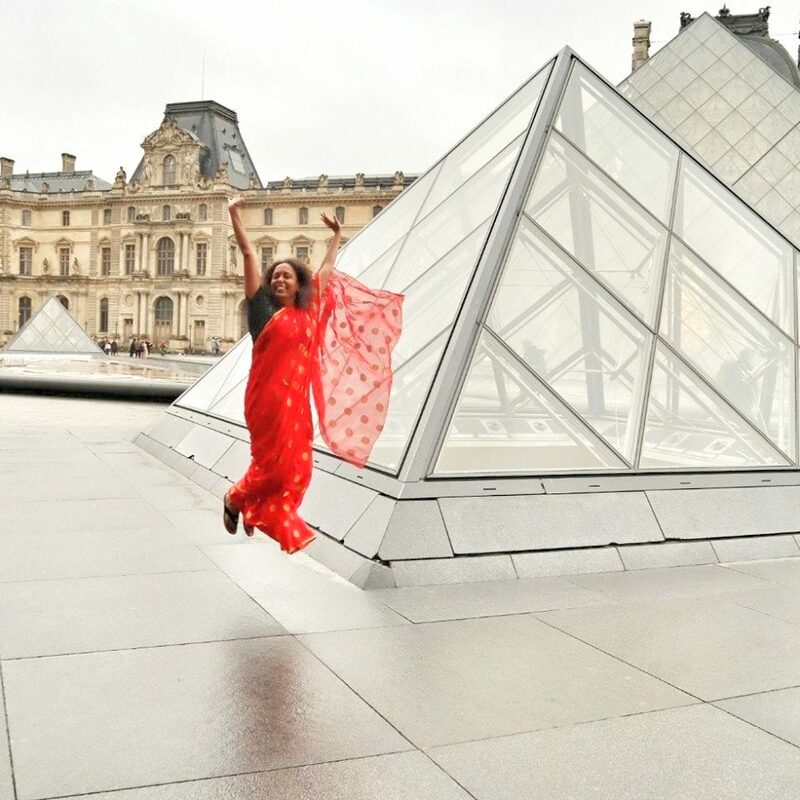 It was sheer magic! Abhishek Pathak from Afaq Tours said it was like we paid the dolphins to put up a show specially for us!